Sarab Deva: South Africa/Munich/Hamburg - Getting this show on the Road! South Africa/Munich/Hamburg - Getting this show on the Road! 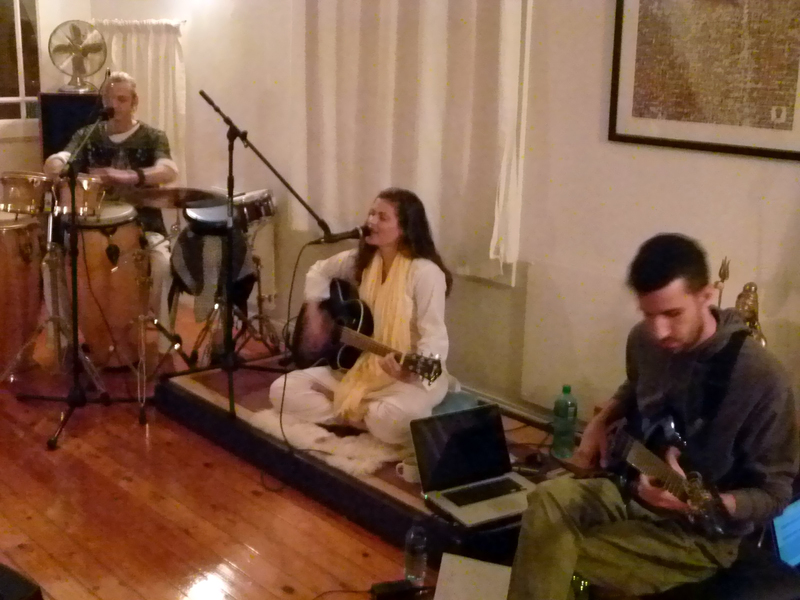 We kicked off the the 2013 Tour with a beautiful Kirtan held at Guru Ram Das in Cape Town. Daniel Eppel (on guitar) and Byron Howell (on percussion) added a stunning dimension to the sound and the music and sacred chanting was thoroughly enjoyed by all. The Eastern Cape is one of the most beautiful and untouched parts of South Africa. It is also one of the wildest and most remote. We had the pleasure of spending a few days there with friends on their farm before beginning the long trek to Hamburg, Germany. (I say Hamburg Germany, because in the Eastern Cape, there is an East London, a Hamburg and a Berlin). It had been freezing cold and raining non stop for two days and we were concerned that the cars might not be able to get us off the farm and into town for our flight on a Sunday morning (due to the already water sodden dirt roads). We've been stranded before in that part of the world for hours (even days) beset with slippery roads and overflowing rivers. For this reason, just after midnight on Saturday night found us piling all our belongings into a friend's pick-up truck and making a mad dash into town to be sure to catch our flight at 9am the next morning. After scanty sleep we made the flight (which luckily had not been cancelled). By the time we arrived in Munich (Germany) I had come down with a dreadful flu virus!! Sneezing, wheezing, with eyes and nose streaming, in Munich we found out that there was a national airline strike so all flights had been cancelled and that would mean a six hour train ride to get to Hamburg. The previous weeks of immense stress of getting the album out, arranging the launch and PR, filming a music video in howling winds up on a cliff face and packing up our lives in Cape Town before heading off travelling for 6 months had really taken it's toll...and now this. I was so ill I could not continue travelling and we had to spend the day in Munich with a friend (who kindly gave up his bed so I could recover a little). Honestly I have not been that ill for years!! I now literally know what the expression “death warmed up” feels like. Of course the major concern was whether or not I could sing that week at the Hamburg concert. By what seemed like divine intervention, I managed to get well within a couple of days using Magnetic Therapy. It is a natural remedy whereby you realign your magnetic field, hence destroying pathogens in your body. Amazing!!! I'm a complete convert. I was up and ready to go within two days, with absolutely no anti-biotics. Hooray!! The Hamburg Kirtan was a great success and we will surely be back in the "Moin Moin" city again in August! 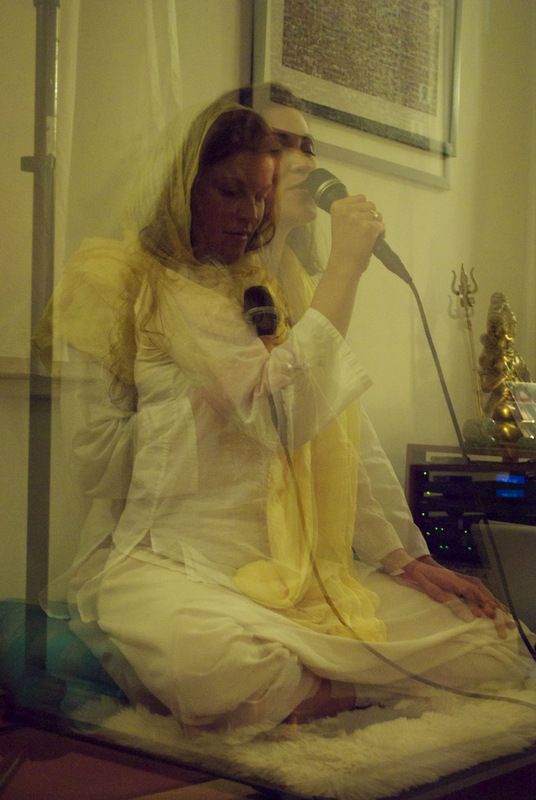 Sat nam, Namaste and welcome to my blog!